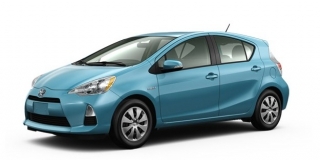 (TORONTO, ON – August 13, 2012) Drivers have purchased more than 69,000 Toyota Hybrid Vehicles since the first Prius arrived in Canada in 2000. Now, responding to customer demand for the most proven hybrid models in the country, Toyota has expanded its popular Certified Used Vehicle program with a special program designed to enable Canadians to buy previously-owned hybrid models with maximum confidence. Regardless of powertrain, Toyota’s certified used vehicle programs are designed to help Canadian drivers enjoy unrivaled piece of mind, years of ownership satisfaction, and enhanced resale values. Every Toyota Certified Used Vehicle includes a CarProof Vehicle History Report, is subject to a rigorous 127-point inspection plus extensive mechanical and appearance reconditioning. Certified vehicles also include a seven day/1,500 km exchange privilege, a free oil/filter change, membership in Club Toyota, a minimum of 12 months/20,000 kms powertrain and roadside assistance coverage. Like every Toyota Certified used vehicle, Toyota certified used hybrid vehicles undergo a thorough inspection. A special 134-point inspection plan includes all hybrid components. Toyota Certified Used Hybrid Vehicles are meticulously reconditioned, then backed by Toyota’s comprehensive warranty. This is honoured at more than 1,400 Toyota Dealers in Canada and the United States, and includes Toyota’s eight-year/160,000 km warranty on all hybrid components.